An exorcist proves himself more of an annoyance than the spirits he's been hired to remove. Another Evil is an offbeat, mildly amusing mix of fantasy and slacker humour nicely played by the two leads. Proksch bounces off Zissis’ normality with an increasingly unsettling eccentricity. 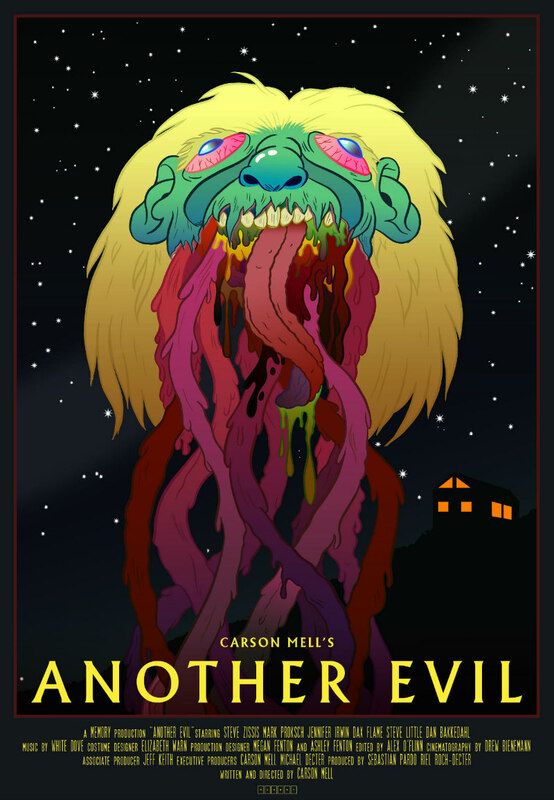 Carson D. Mell’s movie Another Evil begins darkly enough, with shadowy hallways, flitting figures and a sense of menace. It isn’t long before successful artist Dan (Steve Zissis), his teenage son Jazz (Dax Flame) and his wife Mary (Jennifer Irwin) encounter a pair of bizarre ghosts haunting their vacation home. Disturbed and disgruntled, they consult Joey Lee (Dan Bakkedahl, Veep) a hippy exorcist. In between cups of herbal tea and incense-waving ‘cleansing’ sessions, Joey confesses that he isn’t particularly fazed by the presence of the supernatural beings and suggests a ‘ghost with human’ co-habitation to be the best solution. Mary is open-minded to his suggestions but Dan, somewhat proprietorial regarding his personal space, is utterly unsatisfied with Joey’s verdict. 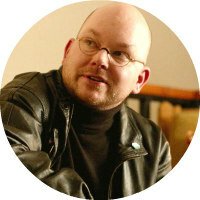 He goes behind his wife’s back to seek a second opinion, and after a recommendation from a colleague, secretly hires ghost-buster Os Bijoun (an eerie Mark Proksch). Os gives Dan’s concerns validation by declaring that the entities in his house are malevolent. He then mocks Joey Lee’s laissez-faire attitude and suggests that actually, the best solution is to thoroughly exterminate the resident sprits - if Dan is willing to provide suitable remuneration. Exorcising the ‘EFD’ (Evil Fully Determined) beings involves setting weird traps and imprisoning spirits in magic boxes but the process drags on for days, during which time, left to their own devices, these middle-aged dudes do a lot of drinking. Os is funny, in a weird, banal kind of way, or at least he seems so at first. The ‘alcoholic social lubrication’ serves to reveal Os as recently divorced, emotionally needy, rather seedy and somewhat unhinged. Os’s attempts at bonding get a little over zealous and he vows to his new bosom-buddy, the increasingly dismayed Dan, that he will not leave until he has rid his house of all unwanted entities. The supernatural pests prove less problematic than the human one as Dan discovers that his exorcist is more disturbing and harder to get rid of than the ghosts. Their eventual and inevitable clash triggers a crisis that nudges the film into the thriller genre and which also envelopes Mary and Jazz in a sinister climax. Another Evil is an offbeat, mildly amusing mix of fantasy and slacker humour nicely played by the two leads. Proksch bounces off Zissis’ normality with an increasingly unsettling eccentricity, his monologues becoming more and more outlandish as the movie unfolds. However, the comedy is so low-key that at 90 minutes it lacks the kind of weight and punch that might render it memorable. The cinematography, special effects and White Dove’s rock score, are likewise competent. Horror comedies have proven to be one of the most difficult sub-genres to succeed in and the main problem with Another Evil is with its narrative and the combination of tones. 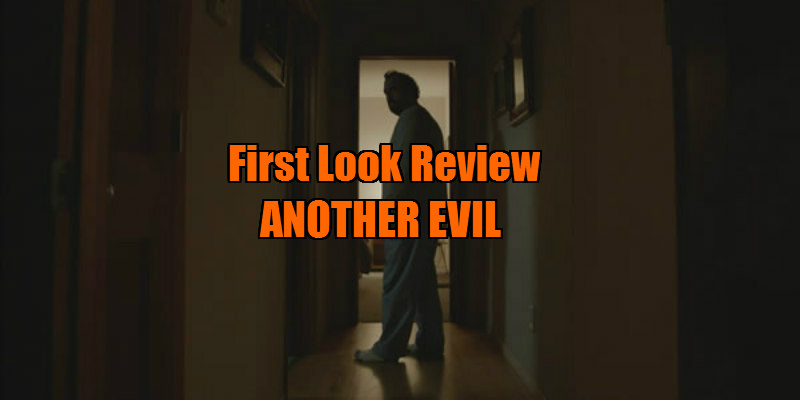 Initially, Another Evil comes across as a quirky horror-comedy, then at around the 50-minute mark the film begins to bring more of the horror elements into play. The film doesn’t quite succeed in blending the two genres together, and as the threats emerge, the situation, the tone and the narrative get looser and murkier. The humour is one kind of ‘evil’ but when the horror starts, it appears to be entirely another evil, after all. Another Evil was viewed at Frightfest 2016.